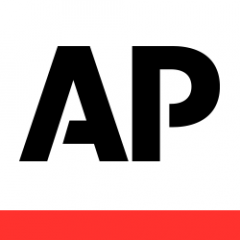 LOS ANGELES (AP) — Los Angeles-area prosecutors are joining other district attorneys to use technology to wipe out or reduce as many as 50,000 old marijuana convictions years after California voters broadly legalized the drug. The county is working with the Code for America nonprofit tech organization, which uses computer algorithms to find eligible cases that are otherwise hard to identify in decades-old court documents. It comes after San Francisco found success clearing convictions, which other cities and states nationwide said they will try to do. “This collaboration will improve people’s lives by erasing the mistakes of their past and hopefully lead them on a path to a better future,” LA County District Attorney Jackie Lacey said in a statement Monday. San Joaquin County also announced their partnership with the group to remove up to 4,000 cases. California voters approved eliminating some cannabis-related crimes and wiping out past criminal convictions or reducing felonies to misdemeanors when they legalized adult marijuana use in 2016. But there was no easy way to identify an estimated 200,000 cases statewide. Convicts had to file petitions on their own to get their records changed or hire lawyers for help with the process. After partnering with the group, San Francisco District Attorney George Gascon announced last month that 9,300 cases dating to 1975 will be dropped or reduced for free and in many cases, without the convicts’ knowledge. It began when his office started sifting through thousands of criminal cases last year to identify eligible marijuana convictions after only 23 people who hired lawyers had taken advantage of the new law. A few months later, after managing to dismiss just over 1,000 cases during the painstaking work, Gascon partnered with Code for America, a San Francisco group that uses technology to make government more efficient. Computer coders with the group developed the Clear My Record algorithm to quickly identify eligible cases and automatically fill out forms to file with the courts. “Clear My Record changes the scale and speed of justice and has the potential to ignite change across the state and the nation,” she said. Prosecutors in Baltimore, Seattle, Chicago and other cities have said they also would clear eligible marijuana convictions. In legalizing last year, Michigan said it would eliminate cannabis crimes and allow past convictions to be erased or reduced.